Apple, Netflix among best value investments now. Here are the 8 most undervalued stocks that top money managers are buying. Shire plc (NasdaqGS: SHPG) is a biotechnology company focused on serving people with rare diseases and other specialized conditions worldwide. Daniel Loeb founded Third Point in 1995 with $3.3 million from family and friends. The fund now manages more than $3.2 billion! Third Point entered into a new $183.8 million position in Shire as of September 30th (1.5% of Third Point's portfolio). Larry Robbins is the investor behind Glenview Capital Management which manages more than $17 billion. Glenview's most recent 13F filing highlighted that Robbins added $634.9 million to his Shire position. This brings the firms total holdings to $898.8 million or 5.2% of the portfolio. Similarly, Leon Cooperman added $23.5 million and Scott Ferguson added $71.2 million. Shire's stock last traded at $146.76 as of Monday morning, November 27th, approximately 77% of its 52 week high. Although the stock is down -13% year-to-date, ten separate valuation analyses imply nearly 25% upside. Zimmer Biomet Holdings, Inc. (NYSE: ZBH) designs and manufactures musculoskeletal healthcare products and solutions worldwide. Larry Robbins added $279.1 million worth of shares of Zimmer Biomet in the third quarter bringing his total position to $369.5 million. Barry Rosenstein of Jana Partners added $77.6 million bringing his total to $545.9 million or 11.3% of Jana's portfolio. David Dreman also purchased an additional $2 million in Q3. The company's shares last traded at $113.16 as of Monday, November 27, down -9% over the last month. Finbox.io's intrinsic value estimate implies nearly 15% upside while the average estimate from 22 Wall Street analysts implies more than 15% upside. May be time to buy while the stock slumps. Time Warner Inc. (NYSE: TWX) operates as a media and entertainment company in the United States and internationally. Steven Cohen has an estimated worth of $13 billion and is the investor behind Point72 Asset Management. He is one of the more controversial money managers that you'll find but investing morality aside, you cannot deny his superior returns. Cohen's latest 13F filing revealed that he added $543.2 million worth of Time Warner shares over the quarter. At 4.3% of the entire portfolio, this is now his single largest equity position. George Soros also added $43.3 million to his position. AT&T Inc. (NYSE: T) had entered into a definitive agreement to acquire Time Warner for $107.50 per share on October 22, 2016. However, on November 20th of this year, the Department of Justice filed an antitrust suit opposing the AT&T-Time Warner merger. Time Warner still appears to be an attractive investment even if the merger ultimately fails. Twelve cash flow models imply that the stock is nearly 10% undervalued on a stand-alone basis. Having said that, it will be interesting to see if Cohen and Soros continue to hold Time Warner shares next quarter since the positions above are reflective as of September 30th. Micron Technology, Inc. (NasdaqGS: MU) provides semiconductor systems worldwide. Forbes listed David Tepper as one of the 25 highest-earning hedge fund managers in 2017. He is the founder and president of Appaloosa Management, a global hedge fund based in Short Hills, New Jersey. His hedge fund added $185.4 million worth of Micron stock in Q2. He then added another $163.4 million in Q3 bringing his total position to 17,054 shares worth $670.7 million (9.4% of Appaloosa's portfolio). Jim Simons founded Renaissance Technologies (a hedge fund) in 1982 and has a net worth of $18 billion. Although he retired in 2009, he remains its non-executive chairman and adviser. Renaissance Technologies' latest 13F filing revealed that the fund entered into a new $264.7 million position in Micron Technology. 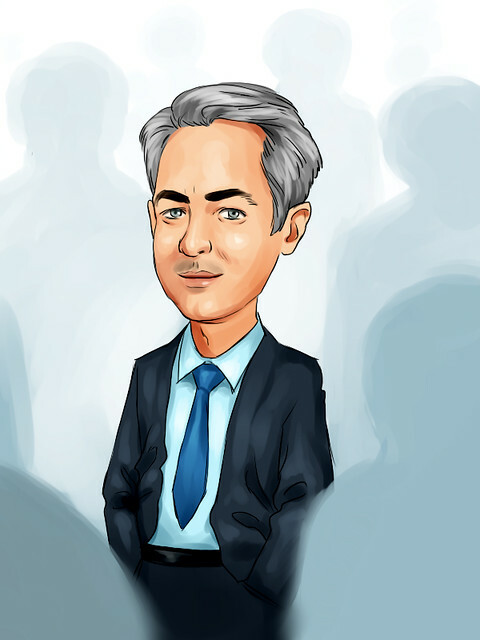 Other fund managers adding MU stock in Q3 include Joel Greenblatt and David Einhorn. Micron Technology's shares last traded around $48 per share as of Monday, right at its all-time high. The stock is up 116% year-to-date and up 18% over the last month. United Technologies Corporation (NYSE: UTX) provides technology products and services to building systems and aerospace industries worldwide. Andreas Halvorsen is the investor behind Viking Global, a hedge fund with $24 billion under management. Although Tiger Global reportedly lost 4% in 2016, Halvorsen has an impressive track record which has helped him accumulate a net worth of $3.1 billion. His hedge fund bought a new $485.1 million position in United Technologies in Q3. Jim Simons' Renaissance Technologies also bought a new $231.5 million position in the company. Although finbox.io's eleven cash flow models offer a wide fair value range ($79.83 - $157.34), the average estimate of $128.87 implies 10% upside to its current trading price. Apple Inc. (NasdaqGS: AAPL) manufactures and sells mobile devices and personal computers worldwide. Warren Buffett is a man who needs no introduction and has a total net worth of over $80 billion (4th wealthiest person in the world). Through Berkshire Hathaway, Buffett makes long-term investments as illustrated by the portfolio's low QoQ turnover rate. As a result, it is notable when Buffett enters into a new position or adds to a position like he has with Apple. Berkshire Hathaway's most recent 13F revealed a $601.2 million purchase to its stake in Apple. David Tepper also doubled down on his Apple bet in Q3. Apple's stock traded at $174.05 as of Monday morning, up 52% year-to-date. Even after the large appreciation, the blended upside from finbox.io and 38 Wall Street analysts implies the stock is still undervalued. Another company that needs no introduction, Netflix, Inc. (NasdaqGS: NFLX) is an internet television network that delivers shows and movies on various internet-connected screens. Chase Coleman as an estimated worth of $2.2 billion and is the investor behind Tiger Global Management. Tiger Global manages $20 billion of assets and has a long record of delivering fantastic returns. The hedge fund revealed that it purchased $485.5 million worth of Netflix shares in Q3. Tiger global previously held less than $70 million worth of stock. Andreas Halvorsen and Jim Simons also reported NFLX purchases of $406.4 million and $272.8 million, respectively. Netflix investors have enjoyed the stock's performance over the last three years which have increased nearly 300%. On a fundamental basis, finbox.io's six analyses calculate a margin of safety of negative -4.5%. However, the consensus price target from 38 Wall Street analysts implies that stock still has 10% upside. Facebook, Inc. (NasdaqGS: FB) offers one of the most engaging social media platforms on the web. Ken Griffin is the investor behind Chicago based Citadel Advisors. He's the 36th richest American with a net worth that increased by over $1 billion since last year. After his hedge fund's most recent $325.5 million purchase, he now owns 11.2 million Facebook shares worth a total of $1.9 billion (1.5% of Citadel's portfolio). Three other fund managers added to their Facebook stakes including David Tepper, Steven Cohen and Chase Coleman. Facebook's stock last traded at $182.61 as of Monday, right near its all-time high. The stock's up 58% year-to-date and 136% over the last three years. The 41 analysts covering the company still believe that the stock still has another 13% upside. Note that this is an update to last quarter's 6 Undervalued Stocks That Top Money Managers Are Buying. Micron Technology is the only company to make the list in Q2 and Q3. The stock was previously trading at $41.33 when we originally published last quarter's top stocks and shares have since jumped 16%. There’s a reason why investors track holdings of top institutional fund managers to get inspiration for their portfolios, it works. If you’re not currently using 13F forms to find attractive stocks, chances are you’re leaving money on the table. This list will be updated again when new 13F filings are released in February.